What to do on a rainy day in Switzerland? 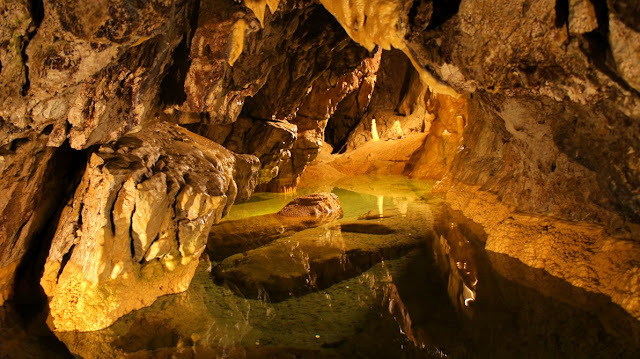 We have visited the museums and we have over visited Jayland (an indoor children's jump zone), so we were excited when we found an outing where we could explore, walk around and learn a bit at Le Grottes de Vallorbe. The Grottes de Vallorbe are a set of caves with an underground river going through them. 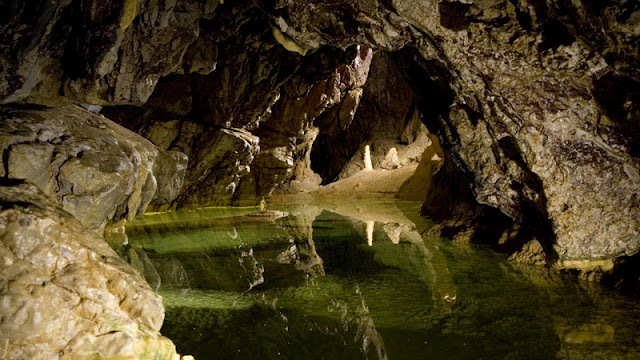 The river is the Orbe river which goes underground for about 4 km before it resurfaces. Over time, the river has carved it's way through the mountain and created pools and other rock formations. 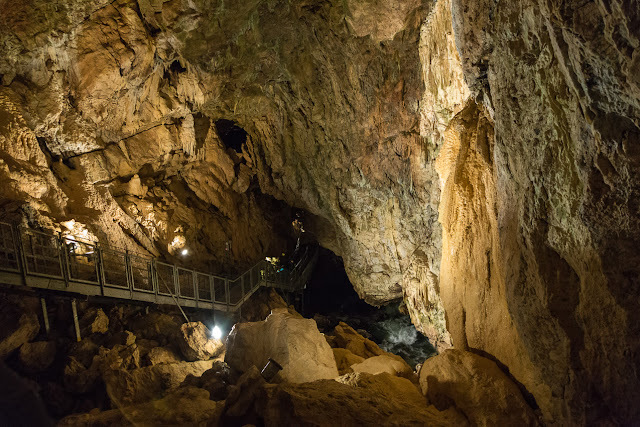 It is now a tourist attraction in the Vallorbe region where people can walk through the caves and admire the natural beauty. We spent about an hour and a half following the numbers and path before we reached the "cathedral" at the end. The "cathedral" is a large space in the cave where a light and music show takes places. At each number along the path, there is a corresponding audio guide or written guide to go with it. We read through the guide as we approached each number. There is about a paragraph of information for each number which was just enough to keep everyone's attention. Eliana, age 5, enjoyed listening to each area. Lucas, age 2, looked forward to each number as he got to have a bite of chocolate when he reached it. NOTE: This outing is NOT stroller friendly. Lucas, at age 2, was able to walk the majority of the path with a hand held on the steps (and a periodic bite of chocolate when he tired). The caves are full of stalactites and stalagmites. We had a nice lesson on the difference between the two at one of the information numbers. 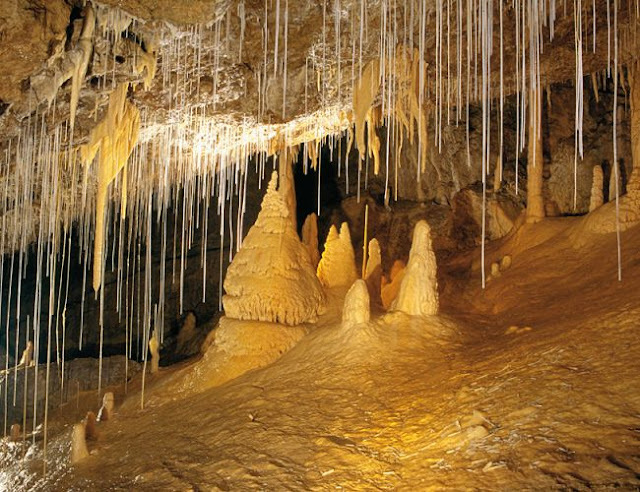 Le Grottes de Vallorbe was about an hour's drive away from our home in Coppet, Switzerland. There is parking on the premises, however you have to walk along a gravel/dirt path to reach the entrance of the caves from the parking lot. It is a nice walk along the river, however if you go on a rainy day be prepared with umbrellas and/or raincoats. For more photos of my trip to Le Grottes de Vallorbe Click Here.